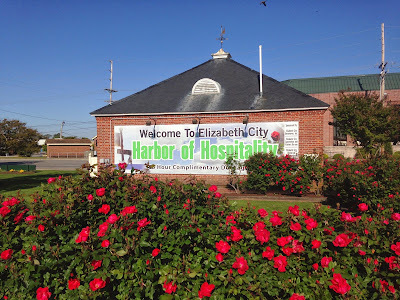 Day 2 Elizabeth City: We're hung around for another day. This was supposed to be a mail stop, but we are now going to use the Albemarle Loop for that (free dock for 48-hours ). We went to Muddy Coffee for breakfast, then walked 2 miles to the grocery store. On the way out, we were repacking the groceries into our backpacks, when someone stopped and offered us a ride back to the marina. We politely declined, saying "it's our exercise and we're going to stop for lunch." The stranger said, "you should eat lunch at my restaurant!" So we did--Monteo's was open for Sunday brunch. 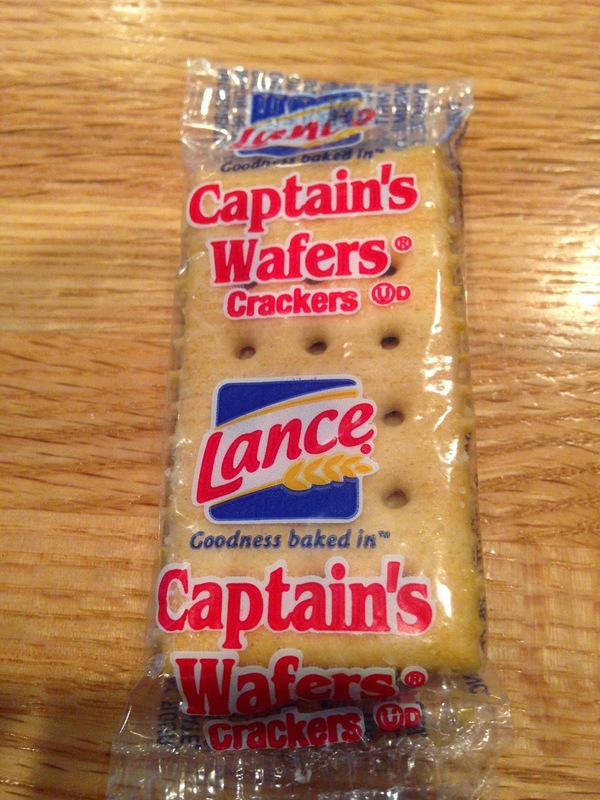 The Captain had a salad, iced tea and a french dip. 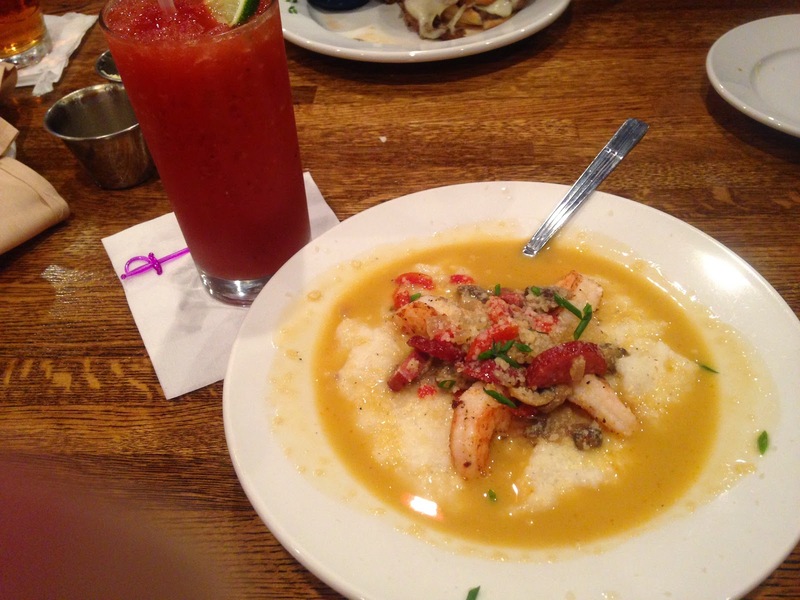 I had shrimp & grits, a bloody mary and a mini creme brulee. It was excellent. Good thing we walked! 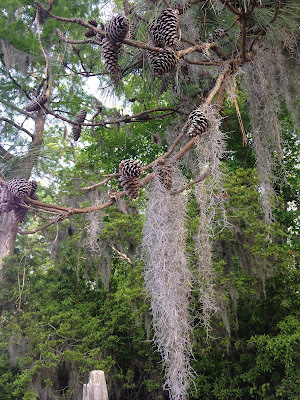 I headed out for an afternoon paddle and my Captain walked to the hardware store (because we haven't seen a West Marine in over a week!). Dinner is cold pasta salad with Country French vinaigrette, tuna, olives & peas. On & off the boat was a little tricky. Did I mention it was free? Leg 9: Elizabeth city to Albemarle Plantation marina (see separate Plantation report). 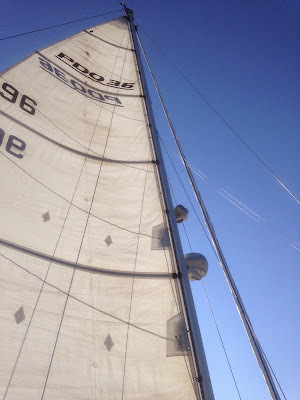 A warmer night on the boat--60F when I got up (couldn't see my breath--yeah!) We departed at 7:30 am. 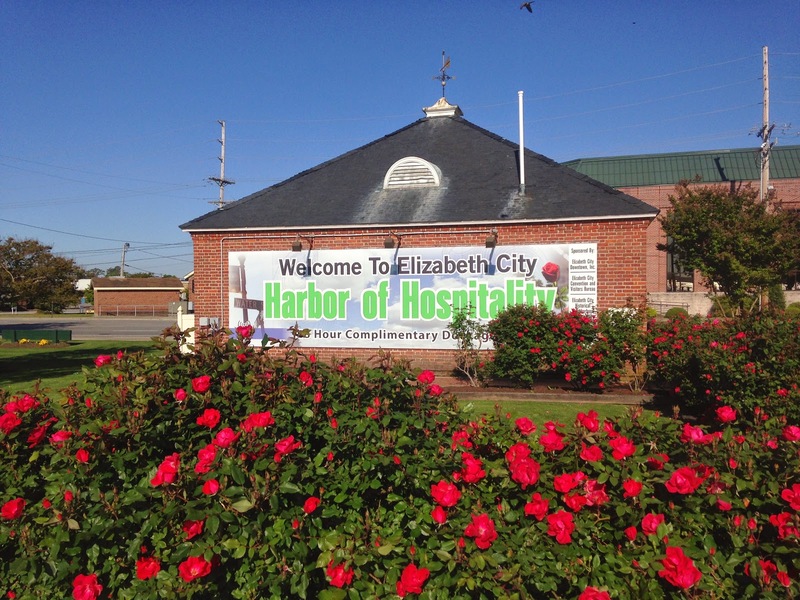 We're headed out for a few reasons: 1) We are only allowed 48-hours on the free dock in Elizabeth City 2) We need to do laundry 3) The next marina is also free. 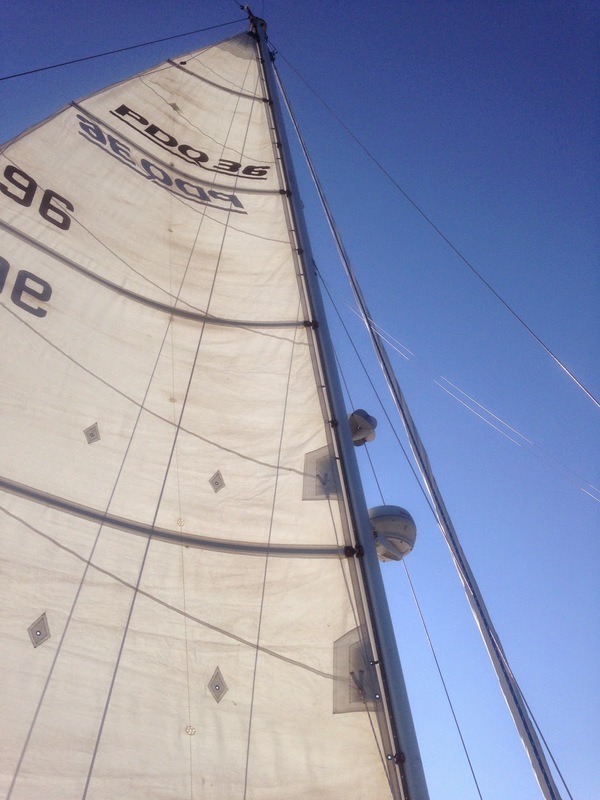 As a result, we didn't wait wait for favorable winds to sail. 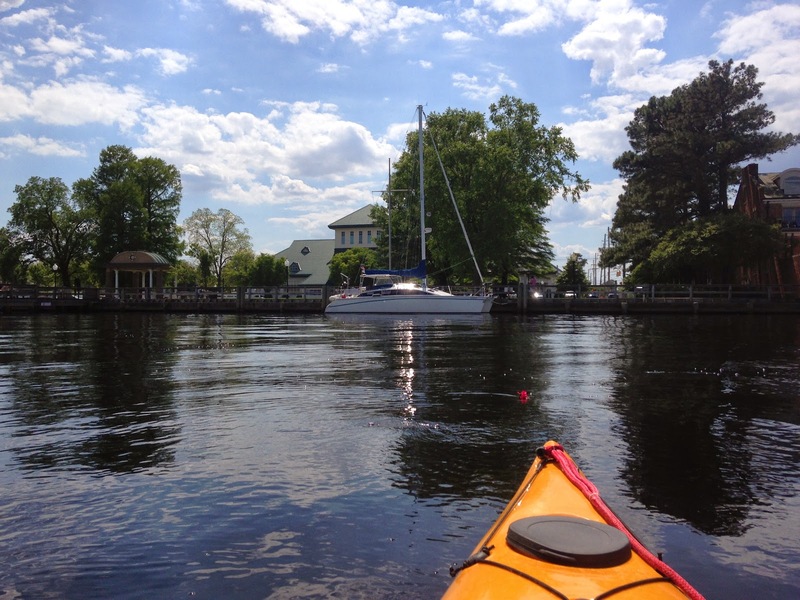 As we left the Pasquotank River and entered the Albemarle Sound, we leave the Dismal Swamp route (and converge with the Virginia cut route). We motor-sailed, then motored with less than 5 kts of wind. 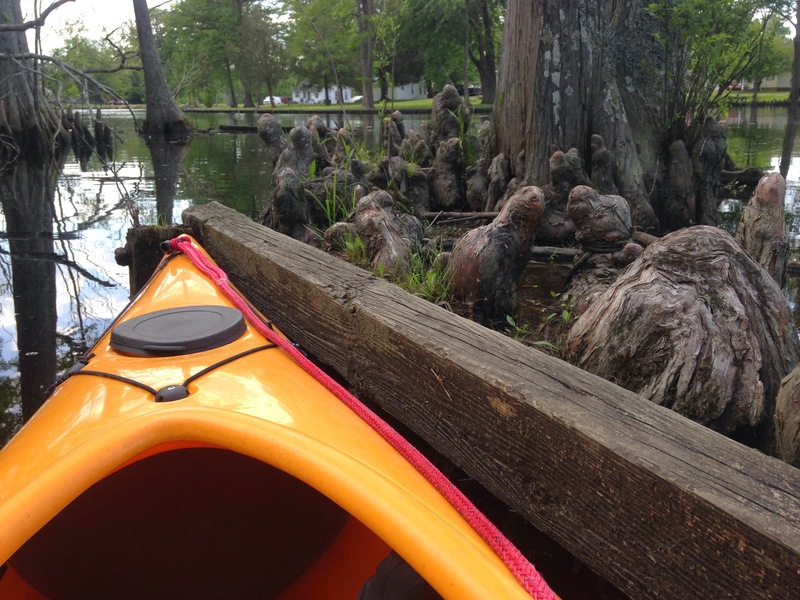 It was a 35 mile hop (20 miles off the ICW) to arrive at the Albermarle Plantation (watch your depth). Broke free of the ICW and the main sail is UP! 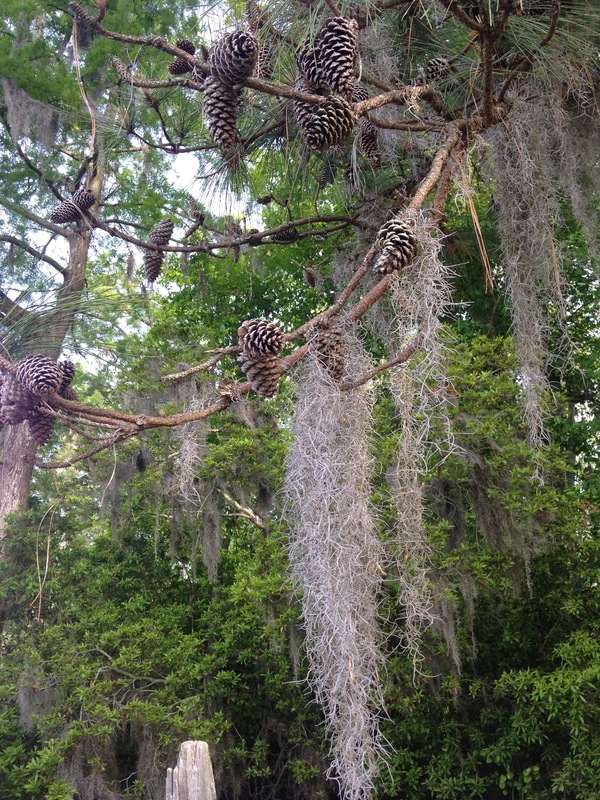 The Dismal Swamp has been gorgeous. The people are INCREDIBLY friendly. 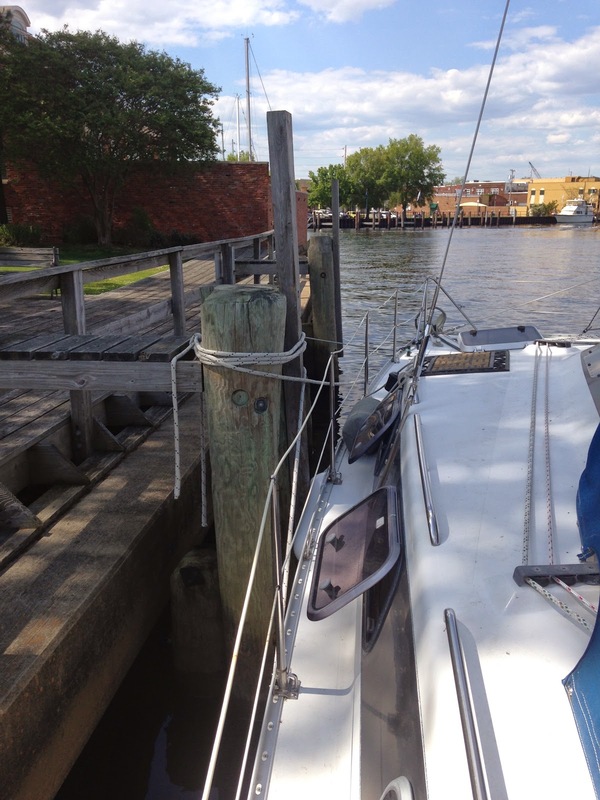 We never saw less than 6.0 ft of water under the keel. We saw a few logs on the side that were easily avoided. The other boaters have been very nice (and I hate to say it, because they may take our sailor club card away, but the trawler crews have been especially nice to a couple of newbie sailors). We would do this again. "You can't have those. 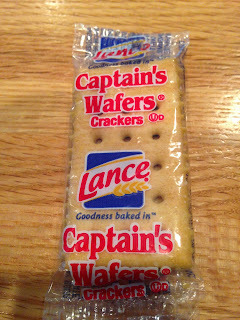 Those are for the Captain." Um, OK.